Microbox-7824b-E series is an amazing addition to the industrial computers offered by Arista. The ACP ThinManager Ready thin client delivers high-performance driven features. 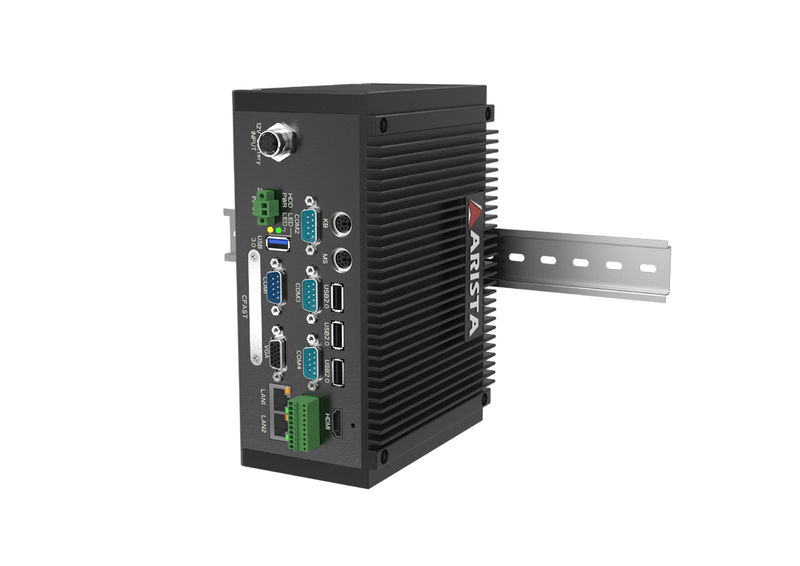 Recently launched Microbox-7824B E-Series video explains product features and benefits in detail; watch the video below. Powered with high-performance features, Microbox-7824B E-Series allows seamless work environment with minimal chances of downtime. Morever, Arista industrial embedded computer Microbox-7824B E-Series is powered with Intel E3845 Quad Core Atom CPU with upto 8GB system memory.The external smart battery option available with Microbox-7824B E-Series functions as a UPS; in case of a power outage it triggers the MicroBox-7824B to shut down its Windows Operating System. This powerful feature allows an uninterrupted operation and help businesses to avoid any kind of downtime. This saves plenty of time and money; also, businesses are able to focus on their key deliverable without worrying power failure. With more and more manufacturing processes moving to virtualization, it gives great security and reliability to end-users. VDI (virtual desktop infrastructure) includes running user desktop in virtual machines hosted on datacenter severs. Each user has a dedicated VM running operating system. This flexible functionality is ideal for business security and confidentiality of critical information. Arista has a proven track record of delivering world class automation computing and industrial displays, the company allows customers to have a non interrupted work environment with elated productivity.